Washington: Afghanistan would no longer depend on Pakistan for transit trade with the opening of the strategic Chabahar Port, a top Afghan leader has said. 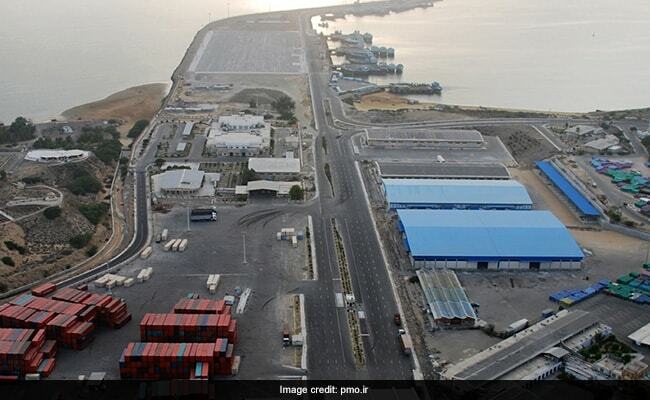 The port will help ramp up trade between India, Afghanistan and Iran in the wake of Pakistan denying transit access to New Delhi for trade with the two countries. "Afghanistan used to rely only on one transit road, which was through Karachi. That is not the case anymore. (Now) its (also) through Chabahar," Afghan Chief Executive Abdullah Abdullah said. "There are one or two agreements that we will be signing with neighbouring countries, including Uzbekistan, hopefully in a few days which will help transit," he said in response to a question at the Center for Strategic and International Studies (CSIS), a top American think-tank. Welcoming the new South Asia policy of US President Donald Trump, Mr Abdullah said he is today more hopeful than before that Afghanistan will succeed and will overcome the challenges that are ahead of it. Mr Abdullah argued that it is important for the countries in the region to realise that terrorism is a common enemy for all of them. If there is one lesson in the past two decades that is these terrorist groups have not served and will not serve the real interest of any country or state, he said. "At the end of the day they have their own interests which is in destruction and terror and violence," he added. Mr Abdullah said majority of the people of Afghanistan are keen to see a peaceful process. "They receive support and they have sanctuaries. That remains to be a big challenge for us," Mr Abdullah said. "But I have no doubt in my mind that there will be conditions and circumstances that more and more groups will be convinced that they need to join the peaceful process rather to continue an endless war," he said.